The highly anticipated Chinese period drama Queen Dugu <独孤皇后> has finally premiered after a long post-production hell, but viewers aren’t loving it. The drama, which talks about the founding of the Sui Dynasty in the late 500’s, stars Joe Chen (陳喬恩) as Dugu Qieluo and Chen Xiao (陈晓) as her husband, Emperor Wen. It is the second serial adaptation about the Dugu family after 2018’s The Legend of Dugu <独孤天下>, which included a more in-depth backstory of Dugu Qieluo and her sisters. Queen Dugu sets itself apart from the previous adaptation, as it focuses more on Qieluo’s relationship with her husband as well as her significant contributions to the establishment of the Sui Dynasty. 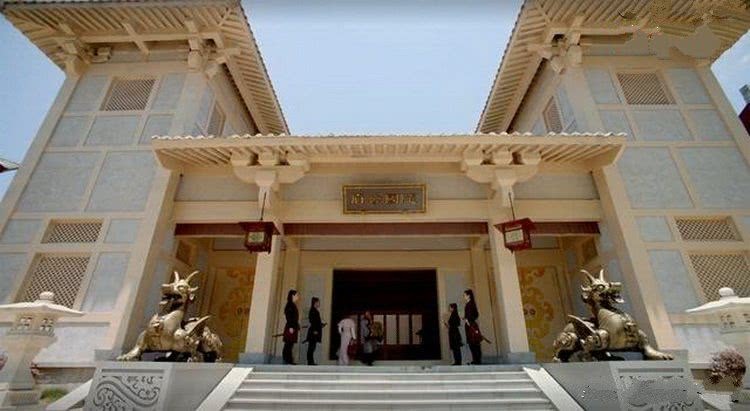 The show has emphasized that it is a “female-oriented” political drama, similar to how Nirvana in Fire <狼牙棒> is a political drama about scheming male characters. 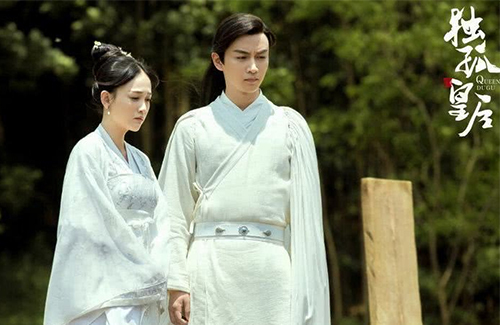 And while both Joe Chen and Chen Xiao are popular actors with large fanbases, both of them have failed to bring good word-of-mouth ratings for Queen Dugu. The show has been criticized for being outdated with unrealistic set pieces, making the show look less like a historical political drama and more of a low-budget romantic fantasy. Viewers were even more disappointed by the old-fashioned and clichéd script—in an ambush scene, Dugu Qieluo looked calm and collected like a wulin master. In episode five alone, there were two cliff-jumping scenes: the first victim was Dugu Qieluo, who falls off a cliff in a fight. The second victim was Dugu Qieluo’s sister-in-law, who takes a knife for her husband and falls off a cliff. The storyline was getting predictable. In another clichéd subplot, Dugu Qieluo makes the decision to leave her husband as she didn’t want to bring him down. She leaves him a letter and leaves, only to get herself in trouble requiring to be saved once again. Queen Dugu also has many slow-motion scenes, making it appear more like an idol romantic series than a political drama. I am hooked on “Goodbye My Princess” ATM and I cannot handle any more dramas at the same time. I might watch “Queen Dugu” later on depending on what other people think. @michelle2805 Sometimes sad ending are needed to make the story more memorable. @littlefish Yea, disappointed in Phoenix lovers. It was bad. … i was so confused how they made it to two separate stories. I stopped watching it. @littlefish I was a fan of the internet novel when I was younger and so far, I am happy with how Goodbye My Princess is going. Quite happy with the cliff jumping scene. The series is over 50 eps and the novel was very short so I guess that they had to add a lot of other material in the flesh out the characters. I am OK with that. And though after ep 10 it seems like a whole new story because the leads have forgotten, but there are other characters who still retain the memory have their own story going on as well. Eventually, they will regain their memories and the timing of it all is what makes the story so good. The problems with Yu Zheng dramas is not only that he plagiarizes from other sources, but he does a bad job at doing it. He copies scenes and dialogue from other sources but does not tweak the character backgrounds to make them fit into the scenarios. So after watching the whole drama, the end and the beginning don’t link up and many scenes have been done in vain as they have no meaning. But the novel of Goodbye My Princess, as well as its epilogues all tie in perfectly. @elizabeth yup, however, doesn’t matter how good the book is (I know it’s quite good despite didn’t read it), but this is still a Yu Mama’s production :/ at least that’s what I remembered, soooo I’m a bit skeptical, I always am when it come to Yu Mama’s drama. And his drama always have the problem of main character is then being sidelined so he can push up/give screentime for his other favourite up and coming actress (in the case of Phoenix lover where QXT barely appear n it’s all about the female general, and I like the female general, however, I didn’t care for that storyline :/). Not a fan of Joe Chen’s new dramas… I still enjoy re-watching The Legend of Dugu. This really cannot beat it at all. Low budget is not the main problem with this drama…The cast is already wrong from the start. Then it is everything else. Agree and The legend of dugu is so gooood!! I watched the first few eps and i don’t plan to continue, haha.